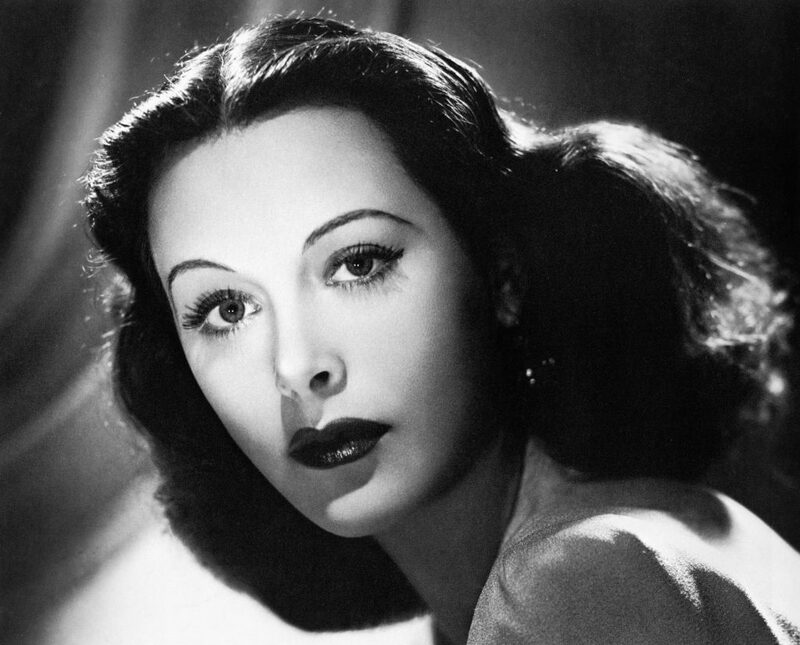 Hedy Lamarr, M-G-M, 1940. Photograph by László Willinger (1909-1989). 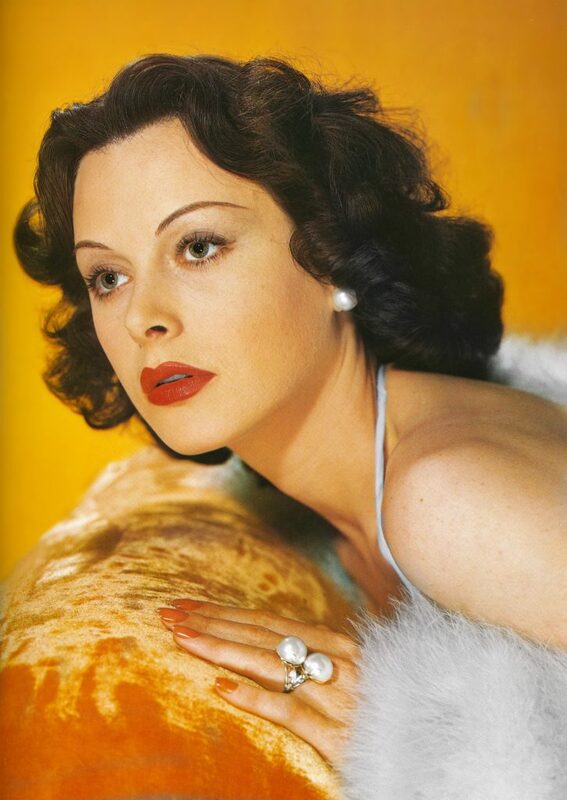 Hedy Lamarr (1914-2000) posed for this glamour portrait in 1940. The legendary Austrian beauty was 27 years old. Since her first American film, Algiers, in 1938, Lamarr was considered one of the most beautiful women in the movies, if not the world. This publicity photograph of Lamaar is for the 1940 American adventure film Boom Town. It co-stars Clark Gable, Spencer Tracy and Claudette Colbert. This beautiful color portrait was taken by László Willinger (1909-1989), a German-born emigré who made many glamour photographs of celebrities starting in the later 1930’s. In Boom Town, Lamarr plays Karen VanMeer, a sophisticated and elegant corporate spy. She is recruited by Clark Gable who plays “Big John” McMasters, an oil speculator. Text©John P. Walsh. All rights reserved. No part of this material may be reproduced or transmitted in any form or by any means, electronic or mechanical, which includes but is not limited to facsimile transmission, photocopying, recording, rekeying, or using any information storage or retrieval system. Hedy Lamarr, 1938. Photograph by Clarence Sinclair Bull (1896-1979). 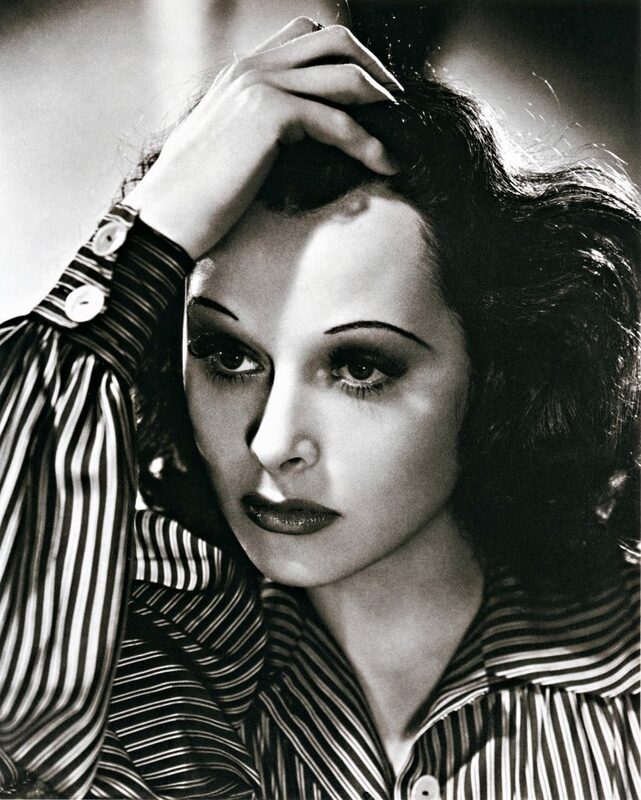 Hedy Lamarr, 1939, László Willinger. This entry was posted in Glamour Photography, Portraits and tagged Boom Town, Clarence Sinclair Bull, Hedy Lamaar, László Willinger on February 1, 2019 by jwalsh2013.